41-year-old Michael Wesley had sued the Mesa Police for wrongfully arresting him for the charge of Driving under Influence. The arrest was made on his 40th birthday. And Wesley had been suffering from a degenerative disease for years and did not have to see a doctor as that was not necessary. But, the arrest made him do so. It should be reported here that he has a college degree and a well-paying job. The arrest made him see the doctor and name the disease; he was diagnosed with Huntington’s disease, an incurable, inherited disorder that breaks down the nerve cells in the brain, deteriorating a person’s mental and physical functions. The symptoms of the disease are personality changes, mood swings, impaired judgment, slurred speech, and involuntary movements. Soon after the arrest, the charge was dropped as his blood test came back clean. But, Wesley had filed a lawsuit in Maricopa County Superior Court as he said that the trauma of the arrest had not gone away completely. The lawsuit is against the City and the police officials, and it alleged that the officers used excessive power on him and made him go through emotional and physical pain. The lawsuit seeks $300000. As per the lawyer of Wesley, the condition of Wesley has worsened after the arrest, and the counter documents filed in the court by the police department states that the officers had done no wrong. Also replying the allegation of excessive force, it also states the challenges Police face at the workplace in identifying the physical and mental disabilities. In mid-December, Wesley got arrested when he was returning from a restaurant. He was asked to pull over as one of the two headlights of his car was not working. He was allegedly talking very fast and waving his hands. The Police officers also asked him whether he had any disability or not and he responded with negative. And again on asking whether he had consumed alcohol or any drugs, he denied. 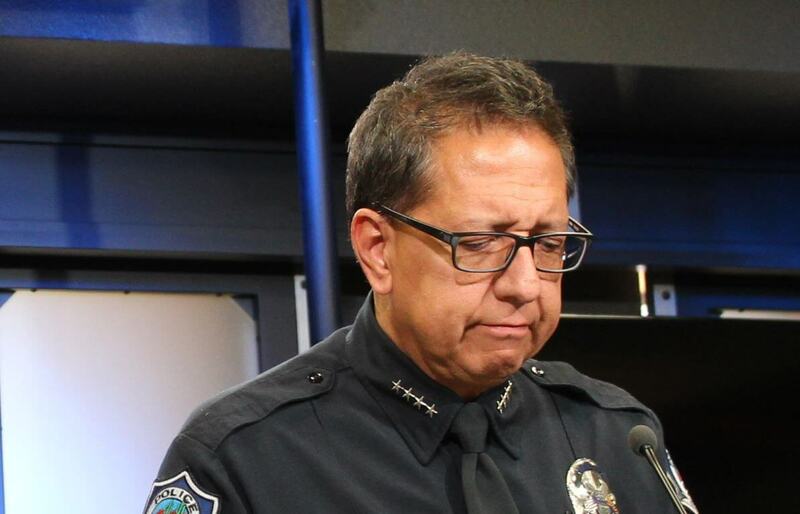 Shumway, the officer-in-charge, thought Wesley could have been intoxicated or under the influence of alcohol, and he called back up immediately. Also, the Police Video of the traffic showed Shumway talking to another officer that the suspect could not have been intoxicated and there might be chances of mental illness. In that video one can clearly see Wesley acting erratically, yelling and slurring his speech. He insisted that he did not have alcohol and he does not have any mental or physical disability. Warren reported that Wesley’s face was little reddened and he had an angry expression. Wesley’s eyes were watery and bloodshot. Wesley also had reddened conjunctiva in both of his eyes. Wesley had dried white colored foam around his mouth. Warren also described Wesley’s behavior as defensive, agitated, hostile, confrontational, cyclical and volatile. When Wesley was asked to take the sobriety test, he bowed down towards Warren and told him to smell his breath. Then, finally, Wesley was handcuffed and arrested. Assistant City Attorney Sarah M. Staudinger denied that the officer had done any wrong. The force used was reasonable, and the officers were not negligent of Wesley. The injury and damages he faced were because of his own negligence said the attorney. Mesa Police says that the officers are well trained to observe the personality traits, to check signs of disability in the suspects, if they feel that the person in question has any such disability, they ask the same to the suspect to confirm and if they get negative in answer, they call for a Drug Recognition Expert to check if the person is intoxicated. Phil Pangrazio, the President, and CEO of Ability 360, an organization advocating for independence for individuals with disabilities said that the Police need more training to identify the persons living with disability for a long time. His group has trained police officers many times to recognize someone with a disability. But, the resources at hand are very scarce for the Police. And there are various kinds of demands by various groups regarding the training for handling different situations. People have been demanding special training to handle cases of the people with color, with older adults, with teenagers and with disabled as well. But, incorporating so much training will not be possible, as their prime motive is to protect the public. Huntington’s disease was first described by George Huntington in 1872. There is no treatment for this disease, and the symptoms for this disease start to show up in the age between the ages of 30 to 50. Wesley has been affected radically by the incident. He is still traumatized, and the arrest has deteriorated the disease conditions. It is really unfortunate that Wesley, a disabled had to go through so much. But, the Police force has no specific training to detect the disabled persons, and on the field, it becomes more difficult to make a distinction between the disabled and an intoxicated person. The persons with such mental deficiencies and disabilities should be monitored by the family more efficiently so that in case of any police contact, it would be easier for the police to recognize them. And for the department, we should expect to see a number of training sessions to recognize such persons from their personality traits.